Orphans are being experimented on in Germany again, as the hunt for a virus that can specifically target genetic traits speeds toward a breakthrough. 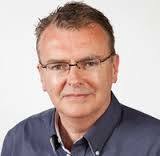 Sean Ryan flies to Nuremberg to speak at an archaeological conference. An old girlfriend, Eleni Kibre, comes to meet him. She’s concerned about the violent anti-foreigner groups spreading fast across Germany. An hour later she’s savagely murdered. Buy Book Here! The police arrive at Sean’s hotel to question him. Then Eleni’s partner goes missing. Can Sean stop the mass murderers intent on committing a long predicted near-future modern genocide? The huge waves of refugees, who’ve spread across Germany in the past few years, have stirred up deep emotions. The long lost letters from Pope Pius XII to Adolf Hitler, which the Vatican wants, are the final pieces of the puzzle, which Sean must solve as the forces of evil close in on total victory. 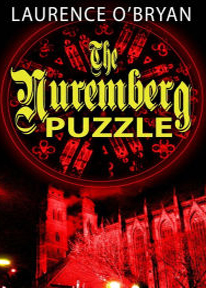 A shocking secret, hidden for decades, is revealed in The Nuremberg Puzzle. Do not miss this electrifying straight-from-the-headlines thriller. Laurence was born in Dublin. He studied business, then IT at Oxford University. After going to England he paid for his own courses and began rising at 4AM so he could study and work at the same time. One early job was as a kitchen porter near the Bank of England cleaning the plates of the well connected. He stayed in squats in London and struggled for years. Laurence was first published by a school newspaper when he was ten, for a short story about aliens getting lost. Thirty-five years later, he attended a authonomy workshop and not long after was offered a publishing contract for three books. The first of which, The Istanbul Puzzle, won the Outstanding Novel award at the Southern California writer’s conference in 2007.